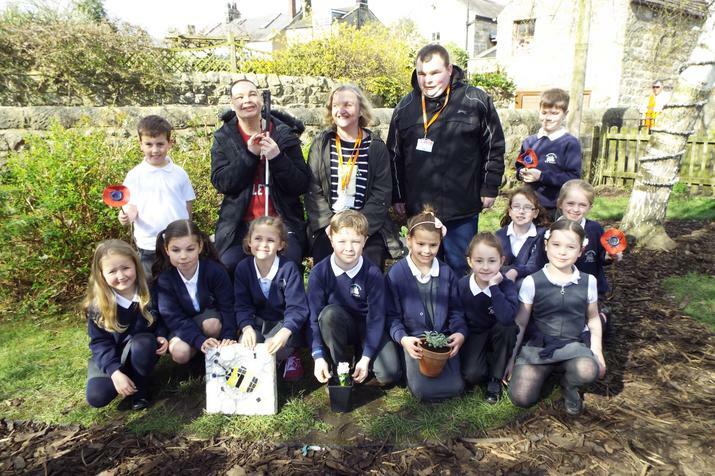 Children from Hampsthwaite School have featured on the Stray FM radio news, as our newly launched sensory garden opened. 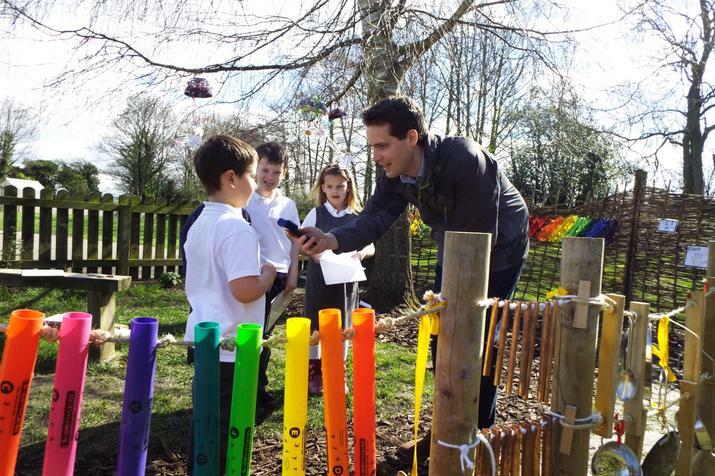 Stray FM reporter Patrick visited school and asked the children about the work they had done on the garden. 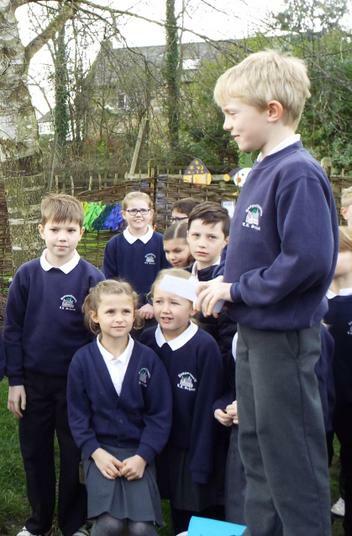 They told him about the inspiration they have had from Henshaws and the garden they visited there, and how the school garden has now been improved. 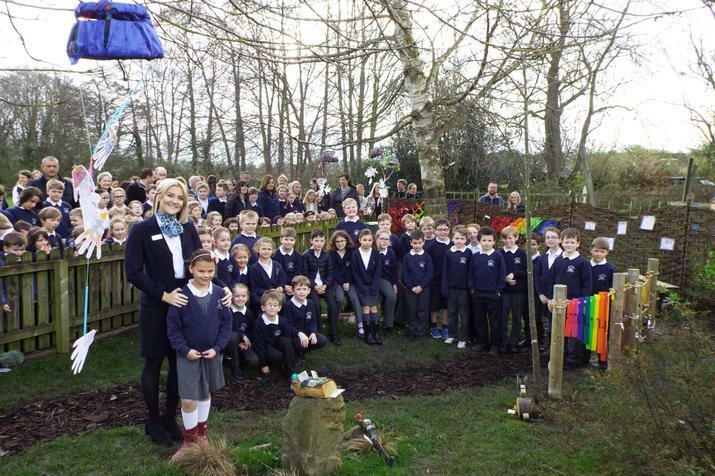 As part of their 'Go Green' learning theme, children from Year 3 and Year 4 have been busy making artwork, sculptures, patterns and musical features for the garden, as well as painting, clearing and planting. 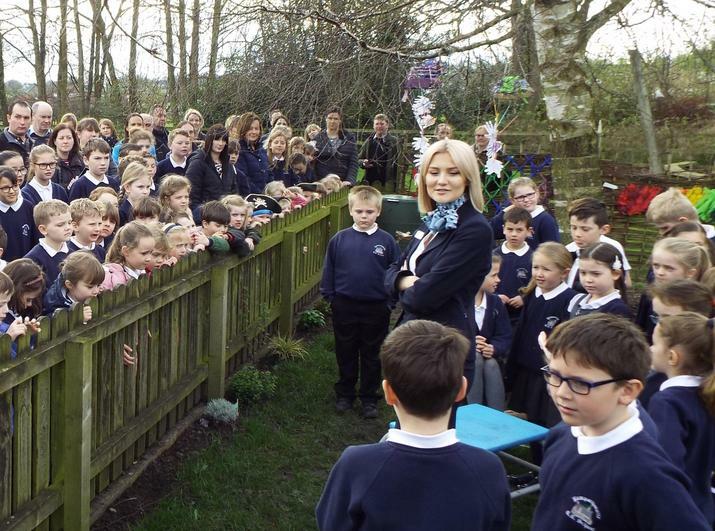 Joined by parents from across the school, and representatives from David Wilson Homes, who have helped build some of the larger garden features to the children's designs, we all celebrated the official opening on Friday 31st March. Some of the ArtMakers from Henshaws also came to visit our garden, and they donated a beautiful plaque and a spiral tree sculpture to add to the garden. Have a look at more pictures and listen to the Stray FM news item in our gallery. Stray FM also have an article on their website here and a home and garden audio feature here.